Scheduling Manager is a complete service business software solution and the preferred software of thousands of service business owners. An integrated suite of business management features available in Scheduling Manager make it the most powerful and vital tool of any successful service business. 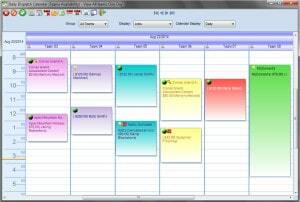 Scheduling Manager is available as a desktop application or as a cloud-based online system. Scheduling Manager has been an invaluable management and marketing tool for me. I’ve used it since I was a startup years ago and am still finding it an effective management system now that I have over 50 maids. I couldn’t have grown so fast without it. 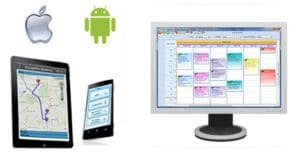 Scheduling Manager software interfaces with SM-Mobile App available for Android and Apple mobile devices. With SM-Mobile App your employees in the field can create invoices and estimates and email them to clients, take photos of the job site, collect signatures and payments from customers, fill out PDF forms, create waivers, add inventory items to invoices, and much more. All the information updated in the field is automatically transferred to the head office. No more paperwork, lost forms, and unhappy customers! Using the app on their mobile devices, your employees can see their schedules for the day or for the whole week, get directions to the job, and get updated immediately if their schedule changes or a job gets cancelled. They can also update job information and customer notes from the field and send data back to the office in real time. This keeps the employees in the office and in the field updated throughout the day, And when things are run efficiently and your customers are satisfied with your services, you service business can prosper and grow! 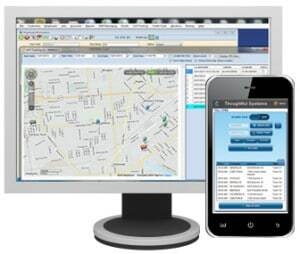 GPS-enabled tracking and time-keeping features in our SM-Mobile App lets you know where your employees are throughout the day and alerts you if an employee is not at the job on time. The employees indicates when they arrives at the job and when they depart, and their geographical location is verified with GPS coordinates. Manage all information regarding your customers and sales prospects with intergrated CRM and marketing tools. Comprehensive customer information management and retrieval. Account transactions and the customer’s balance are also readily available on the Customer Information screen. Multiple work locations for customers and sales leads. Accurate directions and map information. Integrated E-Mail tools to create mail merge letters for bulk mailings to leads and customers. You can also create and send email marketing campaigns with the built-in Email Module. Automatic reminders and pop-up alarms for sales calls and customer follow-ups. Enables you to close more sales and provide excellent customer service. Create accurate job estimates and bids and send them to sales prospects and customers. See where your mployees are and track them in real time with our SM-Mobile App. Print directions to a client’s location or print an entire route for a day. Plot multiple routes per day simultaneously and optimize routes to minimize driving distance and save money. 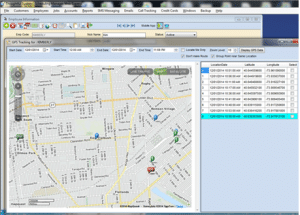 Our sophisticated mapping and scheduling tools will suggest the best day and time for a job based upon location. Flexible Job Scheduling and employee team management allows you to customize the software for the needs of your specific service business. Use 9 different interactive calendars to easily view schedules, add, change and complete jobs, check employee availability, and drag-and-drop jobs to change schedules. Automatically schedule jobs with any frequency, such as weekly, bi-weekly, monthly, annually, or any custom frequency you wish. 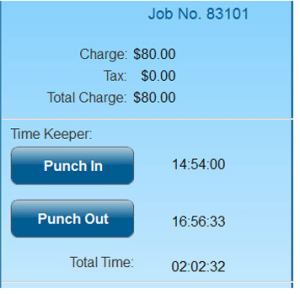 Change individual jobs or make changes to entire schedules with a simple mouse click. Group your employees together into teams to make scheduling tasks easier. Teams can be changed on a daily basis or for individual jobs. You can also group the teams together into Team Groupings. For example, you can create a group for each geographical area, or each major type of work that your service business performs. Produce accurate reports to show which services are more profitable than others and where you might be underselling your business. Set default pricing for each service or use the Price Matrix Module to set individual prices for each service for each customer. Scheduling Manager automates your billing, invoices, and payroll so you can save time and concentrate on making more sales and marketing to prospects and customers. In Scheduling Manager, invoices are created automatically as jobs are completed. 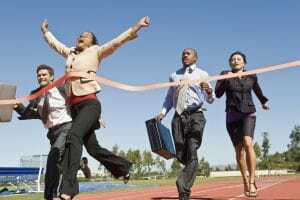 This means that you can finish all your billing in just a matter of seconds, whether you have 20 jobs a week or 2,000! With our SM-Mobile App, your invoices are automatically transferred to Scheduling Manager for job scheduling and accounting. Customer balance and transaction history is readily available on the Customer Information screen. Print individual invoices for customers, or statements for an entire month to show all activity on a customer’s account. Process credit cards safely and efficiently directly in Scheduling Manager. Our payment processing partner offers competitive processing rates for all major credit cards. Even if you have thousands of credit card charges per week, you can process them all in a matter of minutes. Our software provides various billing options for any type of customer you have. You can use Split Billing capabilities to split invoices between more than one payer or use Agency Billing to automatically transfer all invoices to the responsible Agency. Scheduling Manager makes managing your payroll a breeze. Payroll information is automatically recorded when you complete jobs, so at the end of your pay period you can just run your payroll report and you are done! 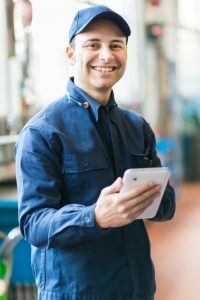 You can automatically import timekeeping data from the SM-Mobile App, updating the payroll information in the system in real time. Scheduling Manager can handle six different hpurly pay rates, commissions, tips, overtime pay and much more. You can customize the look, feel, and the functionality of the payroll system yourself with very little effort. If you are using any specialized payroll programs,such as ADP, Paychex, QuickBooks or others, you can export information from Scheduling Manager into your payroll program with ease. With our Real-Time QuickBooks Interface, customers and transactions added in Scheduling Manager are automatically updated in QuickBooks and vice versa. Interface is available with all desktop versions of QuickBooks and with QuickBooks Online. The QuickBooks interface also works with localized versions of QuickBooks for Australia, South Africa and other countries. 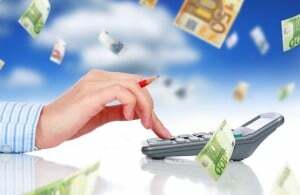 We also interface with other popular accounting programs, including Xero, MYOB, Sage, and others. With the tracking of different service dates for different locations, and the processing of the invoices for accounting, there has been no ONE program that integrated both and worked well for us. 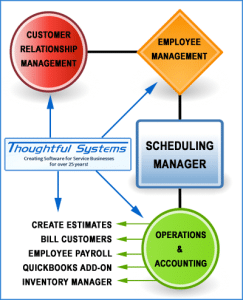 We are thrilled to have finally found it with Scheduling Manager Gemini by Thoughtful Systems. Their program integrates with Quickbooks, which has dramatically improved the way we run our office ad business. Gone are the days of double entry into two programs. Scheduling Manager Gemini does it all!. Create accurate estimates and print or e-mail them to customer and prospects with ease. Customize your own parameters for various charges for services, such as per unit/sq. feet charges or as percentage charges. Choose from a variety of Estimate styles, such as Quick Estimates or detailed Invoice-Style Estimates. The Inventory Module in Scheduling Manager tracks and manages all inventory items you have in stock. Never run out of inventory items by setting up automatic reorder/replenish settings for each item. Make sure you are not loosing money on your inventory by setting various price level points for each item. Easily create purchase orders and add items to invoices in Scheduling Manager, so you never forget to charge for sold inventory. When you implement our software solutions for your service business, you’re not just buying an off-the-shelf computer program that you will have to struggle with on your own. With us, you are joining the Thoughtful Systems family, where excellent customer care and on-going support is part and parcel of what we offer to all our business customers. We are dedicated to continually improving our software and developing new features, as we also share with you the knowledge and expertise of thousands of our successful clients who are growing their businesses with our software. 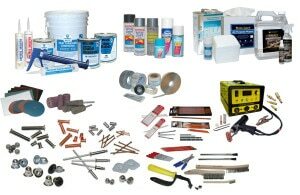 Once you purchase a Thoughtful Systems‘ product, you have access to our friendly, knowledgeable Customer Care Consultants to answer all your questions and to assist you with training and implementation. All Thoughtful Systems purchases include an initial period of free, unlimited support so that you can get the most out of your software. We’ve found that even with just a few minutes of one-on-one training our users experience a much smoother transition period and implementation process.